Home » Posts » Attentionology for K-5 Teachers » Bulletin Board & Activity Designs that Fit Kids to a Tee! 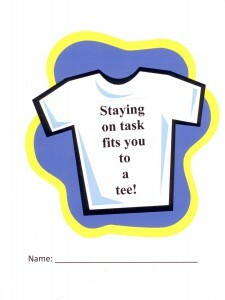 Decorate your classroom door or nearby bulletin board with Name Tag T-shirts; one for each new student this year. …colorful and fun new bulletin board designs with graphics that can double as student handouts and activity sheets. What’s more iconic in children’s school attire than T-shirts? These multi-functional bulletin board and activity designs all feature T-shirts that fit kids to a tee. Welcome! – Try a new take on name tags for your students this year. In addition to posting names for all to see on your classroom door or nearby bulletin board, include a warm greeting above each name on T-shirt shapes. Welcome in any language is a power word with a pleasing punch. Access a T-shirt design online to print or buy T-shirt shapes in a teachers’ supply store. Add the word Welcome! Print copies on colored paper to distribute to your class. Invite kids to write their names on the line below the word Welcome! I ♥ No Bullying is a message that suits all kids to a tee! Suggest that students take the Welcome! sheets home to post near where they will do homework this term. No Bullying In School – The message is by no means new, but creating a bulletin board with I ♥ No Bullying T-shirts is a new way to communicate this important rule. 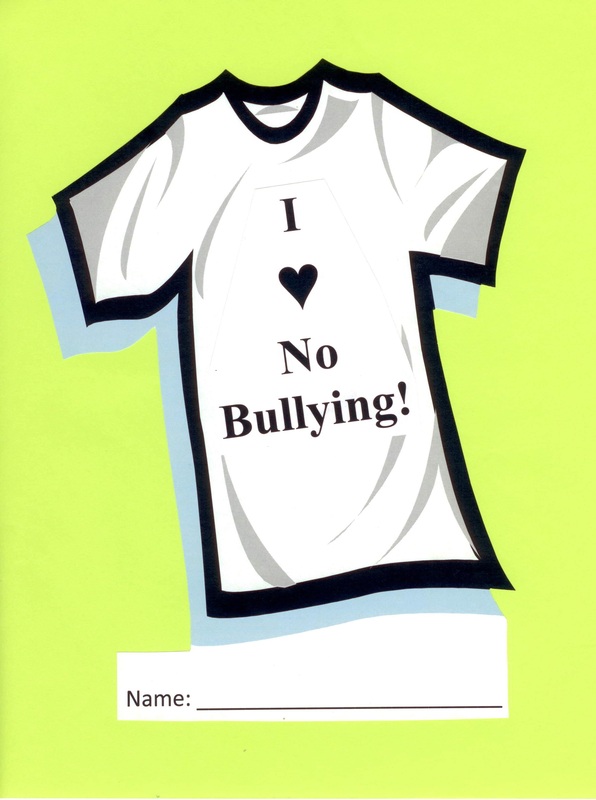 Make copies of your I ♥ No Bullying T-shirt for every child in your class. Advise students that writing their names on their I ♥ No Bullying T-shirts is a promise to never bully and to notify an adult if they see bullying in school or on the playground. In an age-appropriate manner, instruct students to write ways that they can help prevent bullying on the backs of their I ♥ No Bullying T-shirt sheets. Staying on task fits you to a tee can be a reminder or a reward for paying attention. Staying on task fits you to a tee! – As a new school term gets underway, help kids learn to stay focused and on task in class with this attention-getting T-shirt design. Use this T-shirt as a bulletin board design, posting T-shirts with every student’s name on a colorful classroom space. Kids love T-shirts! Invite them to design one for learning this year. Counter unwanted behavior or reward paying attention by printing copies of this T-shirt design as an activity sheet for class distribution. Staying on task fits you to a tee! is a gentle but clear enough message to share when kids seem distracted. The same message can also be a note of congratulations for paying better attention in class. T-Shirts Designs for Learning – Teachers have curricula to follow, but what do our students WANT to learn this term? Distribute copies; ask kids to write their names, design and color the T-shirts. 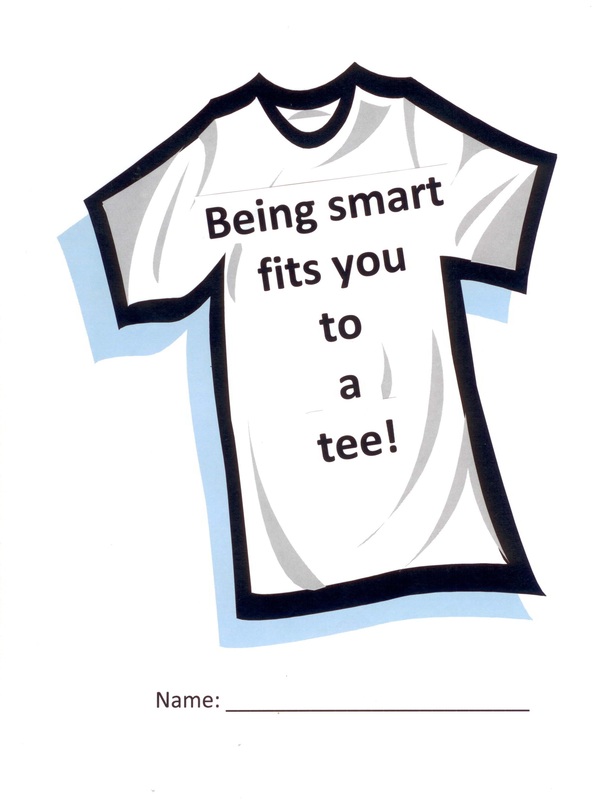 Reward students with a T-shirt design that applauds being smart. What better way to reward students than to publicize their good work. When your class has achieved an academic milestone, distribute copies of this T-shirt design. Ask kids to write their names and color the T-shirts with LIGHT colored crayons so as not to cover the print. Post students’ work on a bulletin board with a header that reads, “My Smart Students.” Well deserved praise fits all kids to a tee. 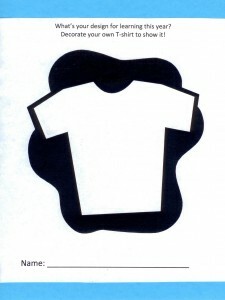 Please send comments about ways you’ve used T-shirts for teaching. ‹ Zoo Zones Online Open the World to Kids! 9 Pings/Trackbacks for "Bulletin Board & Activity Designs that Fit Kids to a Tee!"